Digital Extremes is proud to announce that Warframe‘s latest addition, Plains of Eidolon is live on PS4 and Xbox One today! 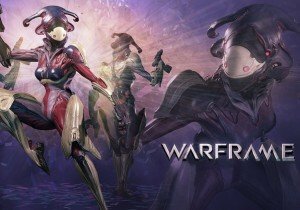 Tenno finally get to stretch their legs and explore an open world, complete with a gigantic boss that’s available at night, new weapons, items, and the Gara frame to play! Cetus is where this takes place, where you mingle with your allies and prepare to explore this brave new world. Plains of Eidolon is the first-of-its kind Landscape for Warframe. The Open Zone design offers kilometers of colorful rolling hills and pastures, lively lakes and rivers, active mines and caves, all during a continual diurnal/nocturnal cycle for Tenno to soak up and enjoy. As many as 50 players can converge on the makeshift basecamp of Cetus, where the race of the Ostrons offer missions and challenges, and new weapons, armor, and items to craft and customize to a degree never before realized in Warframe. Hanakai Studio celebrates reaching its Kickstarter goals for Prodigy in just three days.